Servo Motor Overview - What Are Servo Motors? operate a very low speeds for long periods witho ut overheating. Brushless servo motors (based on synchronous motor designs). As a part in constant motion, servomotors often break down and need repair. In the manufacturing industry, a downed servo motor can disrupt production and compromise scheduling. In today's economy, you can't afford to be behind on schedule or miss a deadline. That's why TigerTek provides a 30,000 square-foot repair facility that is a UL approved, electrical apparatus repair center. TigerTek tests the stator windings, replaces bearings, repairs the armature, turns and undercuts the commutator, rewinds the motor, dips and bakes the windings and fully tests all the electro-mechanical properties of your servo motor. Better yet, TigerTek's technicians are factory trained, having performed thousands of servo moto repairs. Add to that TigerTek's rush priority options; new, reconditioned and exchange units; free quotes upon request; computerized job tracking; 24-hour-365-day service; a 1 year in-service warranty and run tests on all repairs returned with a detailed failure report - You can't lose by choosing TigerTek for all your servo motor repairs. 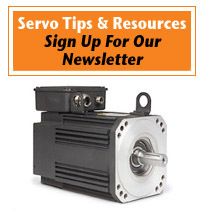 There's no time to spare: Contact TigerTek to order servo motor repair.